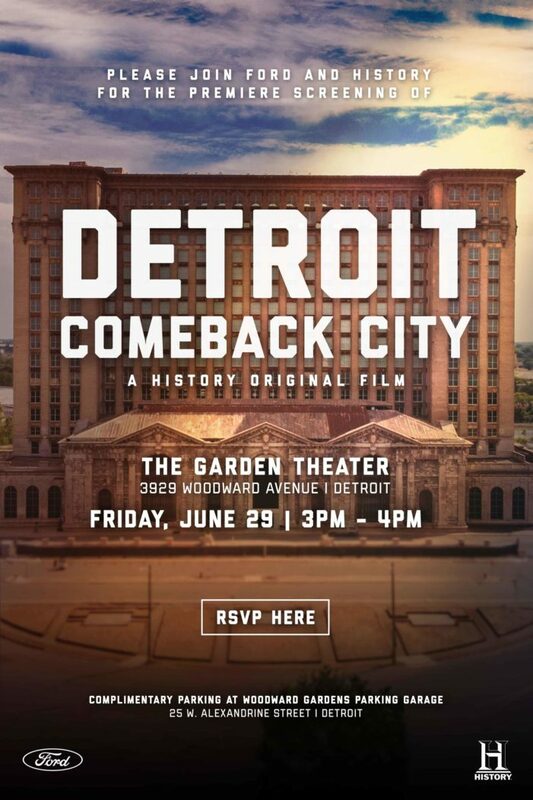 “Detroit: Comeback City” is a one-hour special for History Channel recounting the rise, fall and rebirth of Detroit through the parallel history of the iconic Michigan Central Station. The film premiered Sunday, July 1 at 9pm ET/PT. Narrated by Academy Award®-winner and Detroit native JK Simmons, the film chronicles how Detroit went from the engine of American capitalism to a city of ruins, and then to the cusp of an exciting rebirth. The story of the city is told by real Detroiters who recount the stories of their relatives who helped build the city and the country. Among the interview subjects are Alice Cooper, Professor Henry Louis Gates Jr., Pulitzer Prize-winner Dr. Heather Ann Thompson, Bill Ford and NASA Astronaut Jerry Linenger. From Henry Ford’s automated assembly lines that turned Detroit into a wheelhouse of innovation to the factories that made the city WW2’s arsenal of democracy, we will hear from those who found freedom and prosperity in the Motor City, including those who fled racism in the South to build a new life, and those who lived through the city’s 1967 riots and the city’s eventual downturn – leading to Detroit’s painful filing for bankruptcy in 2013. The anchor of the story is the iconic Michigan Central Station. Designed by Warren & Wetmore and Reed and Stem, the firms that designed New York City’s Grand Central Terminal, the station was built in the early 20th Century to herald Detroit’s dream for the future. The station was an emblem of Detroit’s innovative power, but after just six decades it was shut down and abandoned, a symbol of the city’s demise. 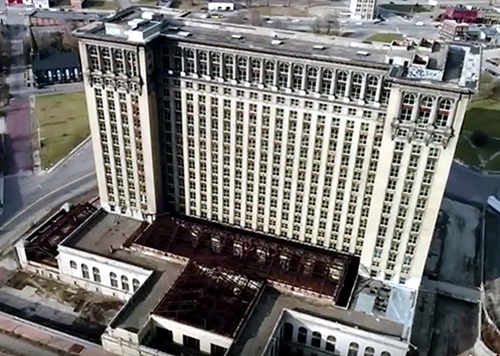 Now Ford Motor Company has purchased Michigan Central Station, and recently announced plans to transform the building into an innovation hub. “Detroit: Comeback City” is produced by Nutopia and Spoke Entertainment. Jane Root is Executive Producer for Nutopia. Brent Montgomery is Executive Producer for Spoke Studios. David Tackel, Mark Truby and Big Sean also serve as Executive Producers. 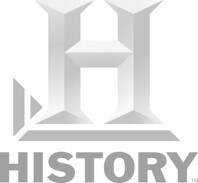 Eli Lehrer and Kristen Burns are Executive Producers for HISTORY.